This is too cute. 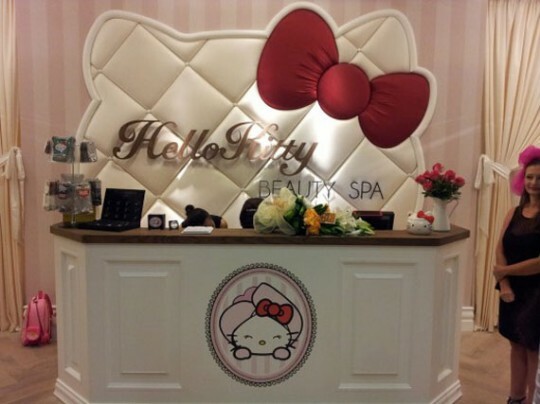 Hello Kitty has just opened up it's first ever beauty spa - complete with Hello Kitty Cafe -in Jumeirah, Dubai. 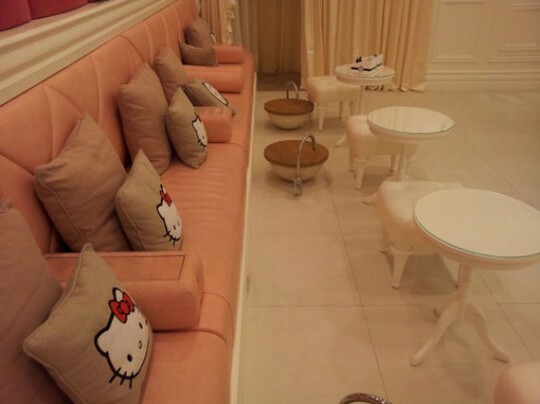 Aimed at kids and old-enough-to-know-better adults, the plush pink beribboned beauty parlour has a treatment menu tailored to the age of their clients with only organic, sensitive skin formulations being used on the youngsters, whilst there's some harder core professional treatments for women. I think this may be too much even for me but still, AWWWWW. Head on over to www.gizmodiva.com for more pics and info.